The way to Rome, Via Francigena (or Via Romea) is a very popular walking holiday in Italy running all the way to the Eternal City from the Western Alps and the Rhineland. 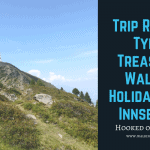 Our trekking vacation in Italy is based over 7 nights and has been graded as level 2-3, this is mostly due to the time took per day rather than the difficulty of the terrain. It was used for 7 centuries by sovereigns, emperors, plebeians and clergymen and was probably the most important road in European History. It was the main thoroughfare along which hundreds of thousands of pilgrims passed on their way to Rome. In those days, the journey was not just an adventure or a risk but an act of devotion to your faith and the pilgrims would stop off along the way at places deemed holy by the Church. Now we are able, using documents left by the Archbishop Sigeric of Canterbury, able to reconstruct the itinerary as he noted down the stopover points on his journey home. The route cuts through the Alps in the Valley of Aosta and then proceeds southwards through Piedmont, Lombardy, the flatlands of the River Po (Padania), before going through the Apennines near Berceto. On then to pass into Tuscany and Latium, and ends in Rome. On this trip we pick up the route in the town of Montefiascone and follow all the way to the Eternal City, Rome. Montefiascone sits atop a volcanic ridge overlooking the Bolsena Lake where we start today’s walk. The route from Montefiascone is along a plain that divides the Bolsena Lake from the Cimini Mountains. The outline of the hills is sometimes small enough to provide panoramic views over the valley. There are no residential areas along the route, but there are some old drinking fountains. We would suggest carrying lunch with you today. Arrive in Viterbo and take some time to visit the lovely old town. Viterbo was an important rest stop along the Via Francigena for the Medieval pilgrims and is the last large town before making the final trek to Rome. On the first part of today’s walk, you will be exploring the Etruscan hollow roads then you will immerse yourself in the typical Etruscan countryside. Again, lunch should be taken with you today as there are no villages along the way to Vetralla. Vetralla is located on the shoulder of Monte Fogliano, the highest summit in the Vico Lake Nature Reserve at 965m. Today the route is quite long. From Vetralla you walk along the volcano side, which crater was occupied by the Lake Vico in the past. We then continue walking across the Etruscan countryside until you reach the tiny village of Capranica. From here you walk down to a tuff gorge by following the stream. The trail is very striking but sometimes it could be difficult because of the water flow. Continuing on now to the town of Sutri famous for its ancient stone theatre carved into the rock. Day 5: Sutri to Campagnano di Roma – 15.3 miles / 24.5 km (376m up & 399m down) shorter option 9.3 miles / 15 km. The first section of the route crosses the fields to Monterosi until you reach the Monte Gelato waterfalls, a park where you can rest and bathe if you wish. Then you walk along a panoramic excavated street leading to Campagnano. To shorten the day’s walk, it is possible to pre-arrange a morning transfer to the picturesque village of Monterosi, from where you walk to Campagnano di Roma. Your walk today is an excursion to the Roman countryside. This section of the route is quite flat with dirt roads or country trails, with some hills in the final part. You will need to cross a stream, in early and late season this may be more difficult. After breakfast, you set off for the last leg of your modern day ‘pilgrimage’ along the Via Francigena to Rome – the ‘Eternal City’. You can choose to travel to Rome by public transportation or walk your way to Rome. Part of the walk to the city is through the Insugherata park, a beautiful reserve, merely a few steps away from the bustling city. As you approach the eternal city you can stop for a triumphant photograph at the Monte Mario Belvedere. From here you can see a glimpse of the dome of Saint Peter’s, before descending towards the city to finally reach Piazza San Pietro, your ending point and that of many pilgrims throughout the centuries. You will be immediately fascinated by the magnificent history, monuments and archaeological sites in Rome. Discover the city’s amazing restaurants and traditional cuisine. If you want to maximise your time in Rome it is possible to skip most of today’s walk by taking a local bus and train. Day 8 – Arrivederci Rome! We try to follow the way marked route as closely as possible. However we will deviate from this route along long stretches of tarmac or where the path has degraded (deemed unsafe to walk).